The Numenera corebook’s design and development are complete. There’s still a lot of editing to do, a few illustrations and maps to complete, and layout’s only just begun, but things are moving along quite quickly now. It’s very exciting to see it pull together. In coming weeks, you can expect to see a number of previews of the material inside, and discussions of how we created the game, and why we made the choices we did. This past weekend, I was at ReaperCon in Texas. It was a great convention, and I had a lot of fun. I ran a game of Numenera for some attendees and we all enjoyed ourselves. On the ride to the airport, however, I was asked a number of questions about the game’s design by some people who hadn’t yet had a chance to play. 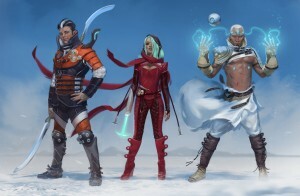 One question that stuck with me was, “Is Numenera player driven or GM driven?” That’s a difficult question, not because it’s hard to come up with an answer, but because it’s difficult to know what’s really being asked. The real truth is, a good game is “driven” by everyone involved and the fun that they’re having. But that’s certainly not an answer to the question actually being asked. The reason is this: The Running the Game section of Numenera is probably the most important one. It’s the key, I think, to making Numenera work. There are many games, particularly newer games, that de-emphasize the role of the GM as an adjudicator of the rules and a provider of the setting. They formalize the rules to the point where little or no adjudication is needed, they regiment the role of the GM to one of procedure, and they put setting and event creation in the hands of the players, at least in part. (To be certain, few games do all of these things at once–I’m generalizing.) Some games, of course, have done away with the GM altogether. 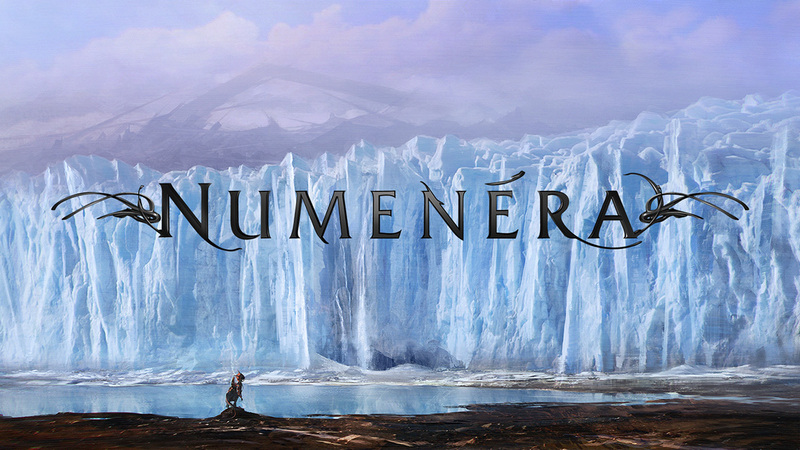 These are all fine things, but to be very clear, Numenera does not stand among such games. This game’s approach is far more classical–traditional, if you will–than that. It assumes a GM with the authority to use logic and fiat to give the game structure and substance. Mechanically, it empowers the GM to do whatever she wishes to advance the story or portray the setting or characters as needed. Although NPCs have rules, they are not the same rules as PCs (they are far simpler, and designed to allow them to fulfill their role in the game appropriately). GM intrusions can change the course of events. In the same way that you might shut down various processes running in the background of your computer to allow it to do the things you want it to do more efficiently, Numenera takes away the things that can be cumbersome on a GM to free her to focus on the story and the fun. NPC and creature stats are simple and easy to create on the fly. It’s easy to randomly generate–create whole cloth–interesting devices, locations, situations, and anything else the GM needs, so that if you want to spend a lot of time preparing, it can all go into the imaginative, wild ideas that Numenera thrives upon. It’s the ideas and the stories that are important in this game, not the mechanics that are used to portray them, so that it’s the ideas and the stories that the players interact with, not the mechanics. It can be fun to sit and figure which of your character’s abilities grants you the best possible chance of inflicting the most damage on a particular foe in that particular situation, but sometimes it’s also fun to just wonder what your character would do when presented those circumstances. But actually, I’ve written about a lot of this before. (Scan back through the various entries on this site.) However, now that I’ve finished writing it, I can tell you that it’s the lengthy Running the Game section of Numenera that really helps someone understand how to use this ruleset the way it is designed to be used. In other words, how to assess the difficulty of actions, the capabilities of NPCs, and how to use these things and the other tools at hand to help facilitate the creation of a cool story. It is, in a very real way, a guide to how I like to run game sessions. While I’ve written about running games extensively in the Dungeon Master’s Guide, in Dragon Magazine’s Dungeoncraft, in Kobold Quarterly’s Game Theories, and in dozens of other essays I’ve penned over the years, it’s Numenera that actually comes closest to revealing how I personally run games. This part of the book is divided into three chapters. The first talks specifically about using the Numenera rules. The game requires a lot of assessment and adjudication on the part of the GM, and this part talks extensively about how to do just that, quickly and easily. The third chapter deals specifically with creating creatures, characters, places, technology, and stories set in the Ninth World. It’s a setting with its own unique approach and challenges, and the GM is the key to portraying the right atmosphere of weird. In many ways, the GM is the ambassador of the setting, although I’m aware that some players will likely embrace the Ninth World enough that they will take on that role in some groups too. In that case, the GM is merely the ambassador of the weird, which is probably as it should be. In Numenera, keeping things weird is a vital part of the flavor. But I’ll write more about that soon enough. Want to comment on this post? You can do so here.